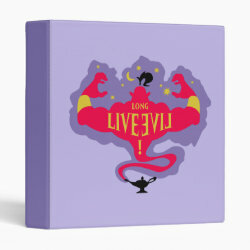 This is a logo design inspired by the classic Disney character the Jafar from Aladdin. 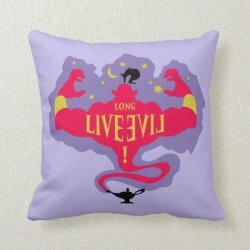 The character lives in Disney's hot property Descendants, as Jay's More... father. 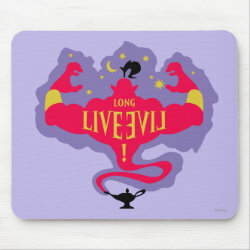 This is a graphic logo of Jafar in silhouette coming out of a magic genie bottle. 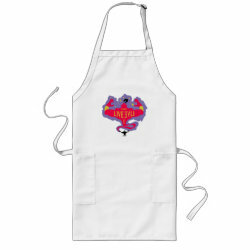 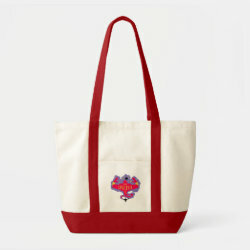 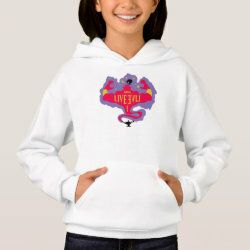 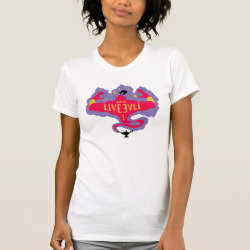 The design is done in bold red, yellow, and black. 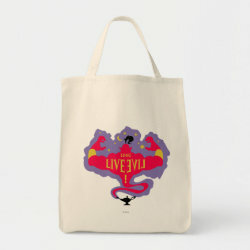 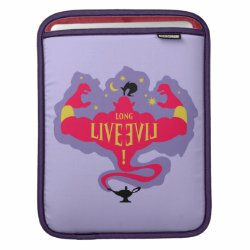 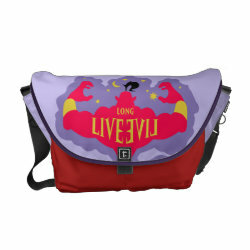 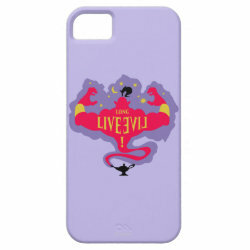 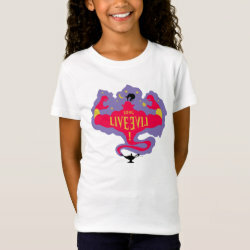 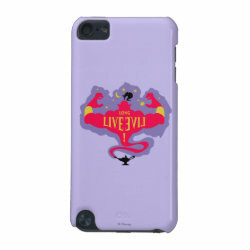 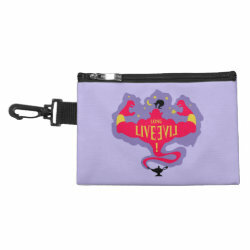 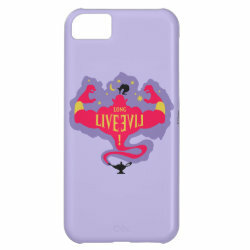 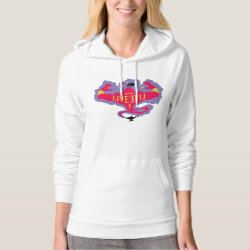 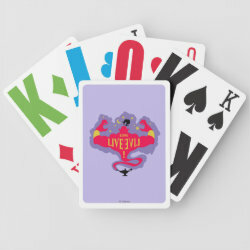 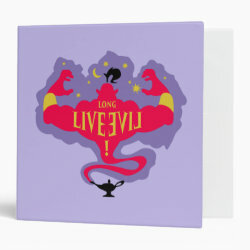 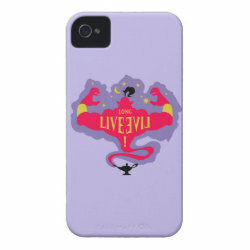 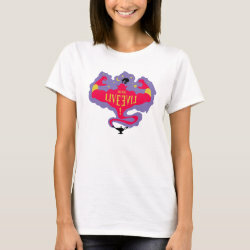 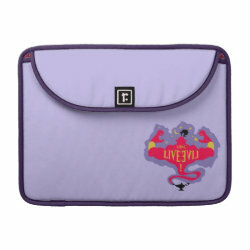 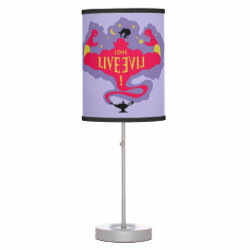 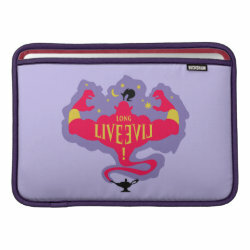 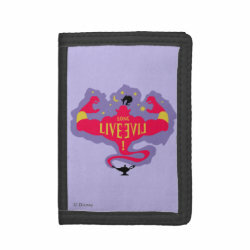 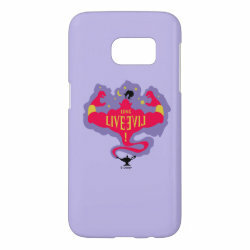 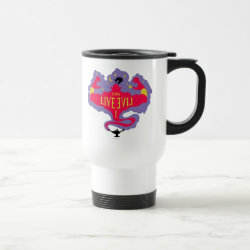 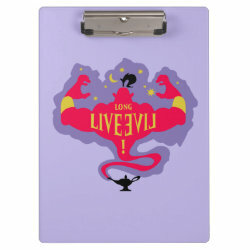 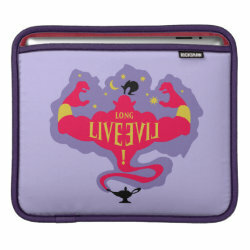 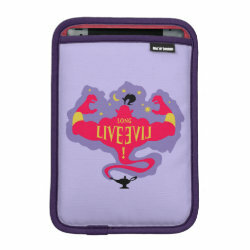 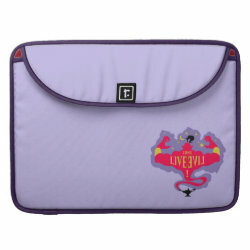 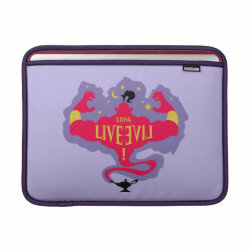 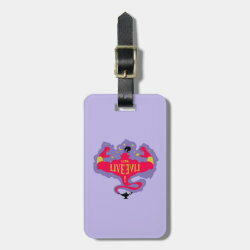 Text reading "Long Live Evil" is shown across the middle of the design.